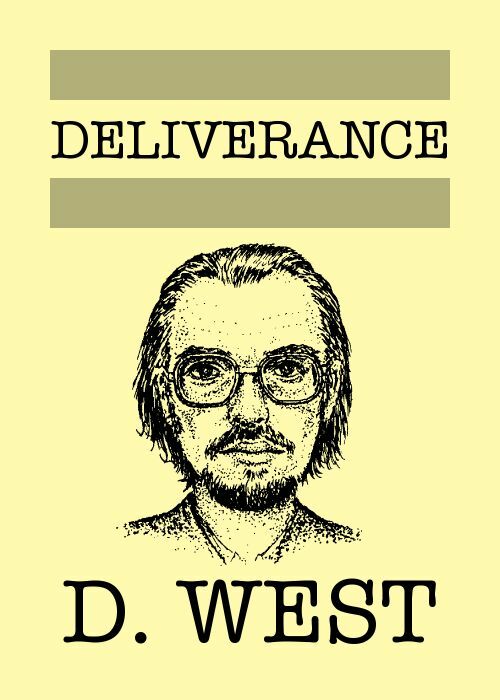 Deliverance, Don West’s second major collection of fanwriting, was first published in 1995. This ebook version was added to the TAFF site on 25 January 2019. Cover artwork by Don West, a self-portrait created for the Yorcon (1979 UK Eastercon) programme book. 81,820 words. Many thanks to Hazel Ashworth West, Graham West and Mick West for permission to add Deliverance to this site; to Ian Sorensen for recovering most of the text (except the parts typed straight on to stencil) from his Pagemaker typesetting of the first edition; and to Rob Hansen for remembering and scanning the West self-portrait used for the ebook cover. See also our man’s first massive collection: Fanzines in Theory and in Practice from 1984.